From a scientific point of view, the benefits of meditation include reducing the perception of pain in half, rebuilding the brain, enhancing concentration, and boosting creativity. While all these processes are good in itself, meditation’s role in spirituality is paramount. Thus, incorporating meditation into our spiritual practice is of much importance. Other people think that meditation is a difficult practice. But this is no longer the case since a lot of variations are available to us depending on our capability in practicing them. Yet, if you’re serious in your spiritual practice, might as well pursue the meditation practice that specifically supports your goal no matter how difficult it would be in the beginning. In the meantime, here are more reasons why you need to meditate to advance in your spiritual quest. 1. Meditation paves the way to your higher self. Your higher self lies within the core of your unconscious, which is easily accessible through meditation. Connecting to your higher self is connecting to your being. Once you’re able to perceive your higher self, you start to realize what your soul wants you to do and how to fulfill that. 2. Meditation increases your vibration and strengthens your energy field. Thoughts play an important role in your body’s energy field. Your energy increases or decreases depending on the thoughts that you allow in your mind. Negative thoughts result in lower vibration while positive thoughts increase it. Science even believed that thoughts are responsible for the creation of feel good hormones or endorphins and the stress hormones or cortisol. Meditation helps you to breathe in vital prana into your body, which when redistributed into your energy field removes the stuck negative energy. 3. Meditation helps transcend your mental blockages. Self-limiting beliefs may have accumulated in your mind unconsciously. This is possible since we’re less aware when we’re growing up. And what we perceive in our environment, we regarded as truths. But when you start with meditation practice, these limiting beliefs will come into the surface. There may be some struggles at first, but as you continue with the practice, you’ll soon realize that the enormity or the smallness of your world depends largely on your thoughts. If you think big, then you’ll start to achieve big things. Meditation opens your mind to unlimited possibilities. 4. Meditation protects you from energetic fluctuations or ascension symptoms. 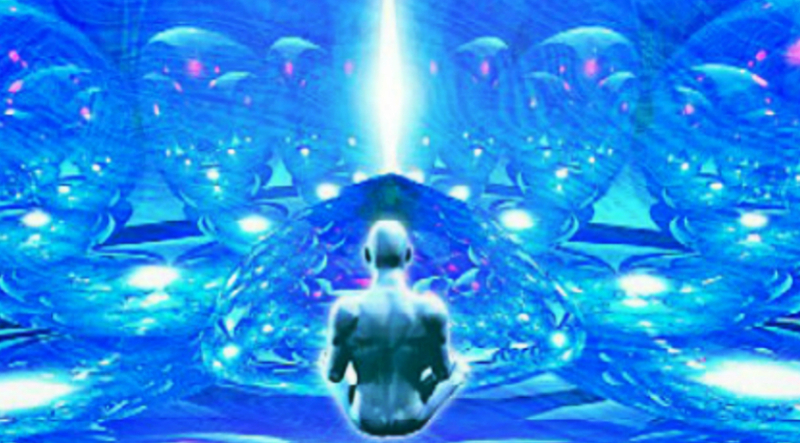 Ascension symptoms are bodily pains associated with the awakening process. As your consciousness rises to higher vibrational frequencies, the shift affects the energies in your body as your system reboots. This could trigger symptoms that are mostly painful. Meditation is one way of making yourself less susceptible to these bodily pains because it helps you in attaining finer balance. 5. Meditation helps you become a channel of pure energy. Once you’re able to transcend your subconscious patterns, the energy in your body starts flowing freely and easily. And you will notice the increased energy circulation throughout your body. This is because the knots and energy loops formed in your body are loosened up during meditation. Higher levels of energetic experiences may then be available to you.